Freda's Voice was not compensated for posting. Freda's Voice was given a copy for review purposes. Opinions are 100% owned by this blog. This book is about Dani/Danielle, and she is as cool as they come. 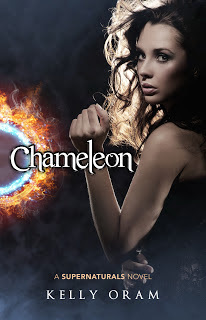 She has an unheard of ability and can change like a chameleon through the various supernatural species. It's so different from any other paranormal book I've read before. I really dug it!!! When you read it, I promise, you'll love him too. You just won't be able to help yourself. The author left plenty of room for the next book. At least, I hope this is a series. Yes, please!!! You have pushed me into finding this book! Reading about the author, I can see why her character is so inviting!